Dog skin conditions such as allergies, yeast, hot spots, seborrhea and dry skin (to name a few) are the number one reason for veterinary visits according to a study conducted by Nationwide. Those appointments don't come cheap with The Animal Health Industry reporting pet owners will spend approximately $500 per year on health-related care for their pets. If, like me, you're looking for a way to reduce repeated vet visits (and costs) for skin-related problems, we can show you how to recognize and manage each condition at home. Not that you should skip an initial veterinarian consultation. However, you can reduce the number of vet visits by understanding the cause and treating at home, where possible. Many dog skin conditions are easily treated at home, if you just know which one to treat. The information in the following articles are based on either my own personal experience, information I have learned through my studies at the Animal Care College, or through an exhaustive course I completed on holistic health care for dogs. You can find details of my certifications here. Not sure if your dog's itchy is simply due to dry skin? In this article, you'll learn the six main factors that cause dry skin in dogs, together with how to treat it naturally. Given that dry skin is one of the easiest skin disorders in dogs to fix, starting here may eliminate a lot of time and hassle for you. 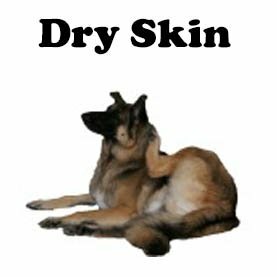 This page also shows you how to determine if your dog has dry skin or whether it's more likely to be something else. The main symptoms of dandruff are the telltale white flakes, but did you know dogs can show other signs too? Plus, there are two different types of dandruff in dogs. Three, if you count one condition that's not dandruff at all but is a tiny white mite known as walking dandruff or Cheyletiella. It's the other symptoms (besides white flakes) that will pinpoint which type of dandruff your dog is suffering from or whether it's Cheyletiella. This page will show you how to tell the difference between each type and what treatment works best for each. 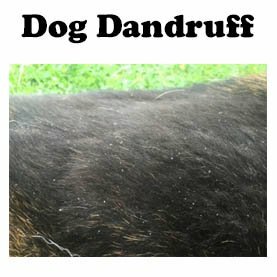 You can also see how I fixed dandruff on my dog in 10 minutes using six simple steps. Hot spots are angry red sores that seem to pop up overnight. They hurt and annoy dogs who will aggravate the problem by continually licking at the wound. Hot spots may seem to come out of nowhere, but there is, in fact, many causes. It's also important to understand which breeds of dogs are more prone. 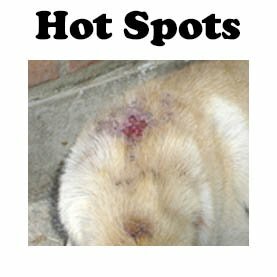 This page shows you how to recognize a hot spot, what causes them, how to prevent them and how to treat them. You'll also learn the best home remedies, and over the counter treatment, you can use. Dogs that itch more in warmer weather, particularly the ears and paws, frequently suffer from yeast infections. Often misdiagnosed as allergies, yeast is difficult to control once it takes hold. 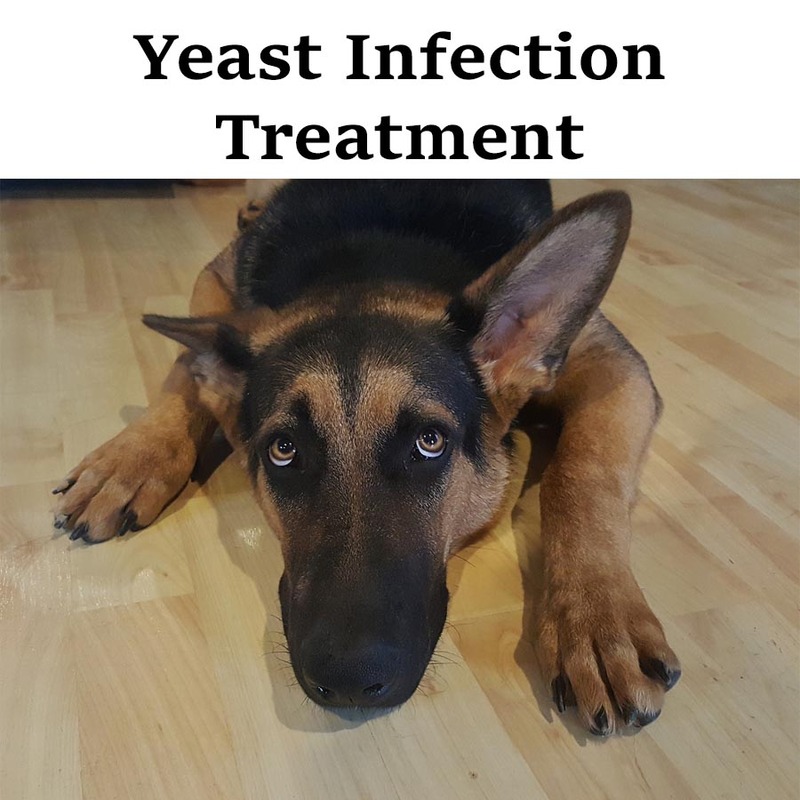 Any dog can get yeast but ultimately its dogs that have a compromised immune system or have other health issues that are vulnerable. This page shows you what a yeast infection is, the signs and symptoms to look out for, as well as the potential causes. Diet plays a vital role in managing yeast, so guidance on what works best is given here too. There's also a treatment plan for yeast on the skin, paws, and the ears. Once you've diagnosed a yeast infection in your dog, you need to know the best treatment choices possible. This page delves deeper into the treatment options available. Starting with an overall plan, how to treat the digestive tract and boost the immune system together with what to avoid and a suggested diet. Probiotics and Digestive enzymes play a critical role in treating yeast along with topical treatments and antifungal baths. 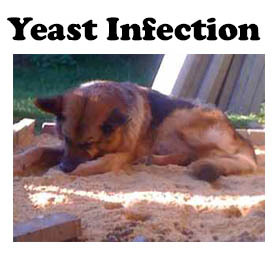 This is your ultimate guide to getting rid of a yeast problem in dogs. If you have a dog with allergies, you are by no means alone. Allergies are the number one reason dog owners take their pups to their veterinarian. 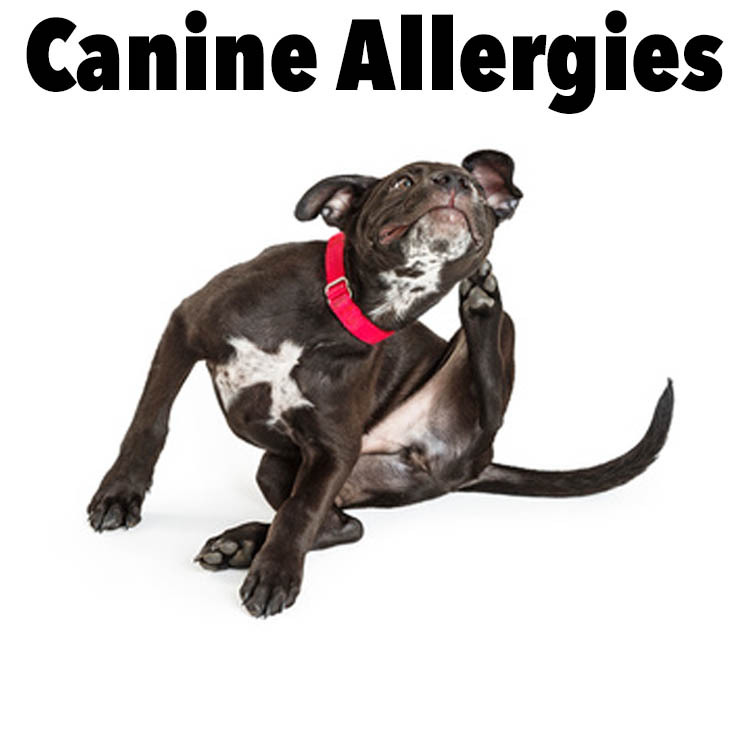 This page defines the different types of canine allergies from food to skin allergies and everything in-between. It shows you how each one is diagnosed along with typical symptoms and a recommended treatment plan for each. You'll also learn the difference between an allergy and yeast infection and what to do for each. 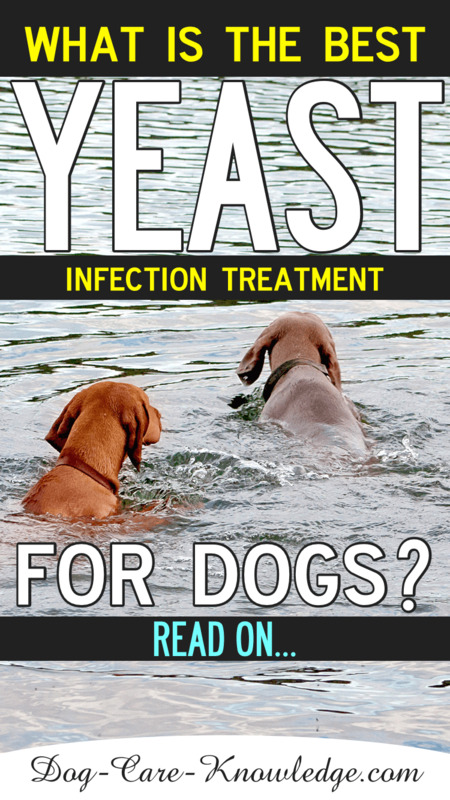 Dog skin infections can be either bacterial or yeast. This article gives you the difference between the two shown with a simple chart. 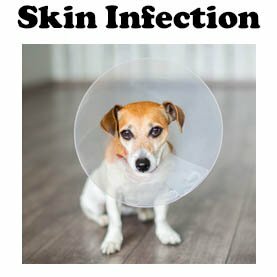 There's also information on skin infections that affect puppies, i.e. acne and impetigo. 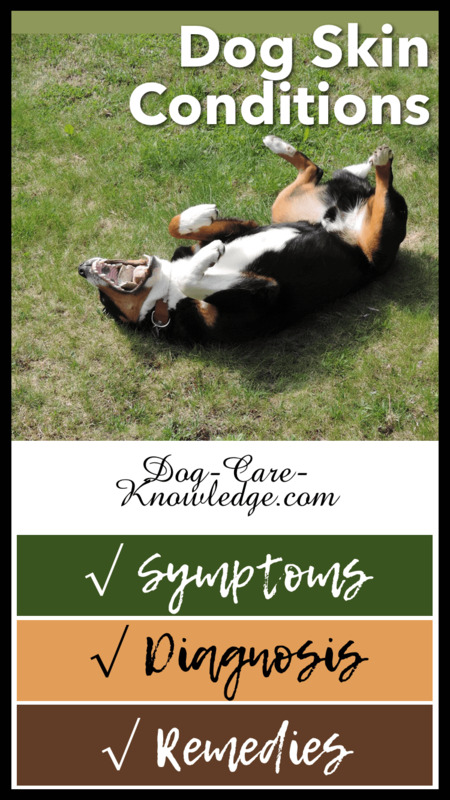 You'll learn the different symptoms along with common causes and which dogs are susceptible to each. Armed with specific treatment plans, you'll have access to a natural approach to treating skin infections in dogs by a renowned canine naturopath and zoologist. There's also a link to a natural shampoo used by holistic MDs and voted as "professional groomers ultimate choice for cases of skin problems where nothing else works." 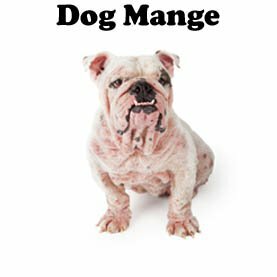 Mange is probably the most unpleasant dog skin condition given that its actual mites. There are three types of mange all of which are microscopic mites that can spread. The types of mange are sarcoptic mange (or scabies), demodectic mange and cheyletiella mange otherwise known as walking dandruff. This article gives you the symptoms and differences of each type of mange together with how to treat each one both holistically and conventionally. It walks you through the effects mange has on a puppy versus an older dog as well as localized versus generalized symptoms. Here's how to treat manage and stop it spreading. A dog's coat is a mirror into their overall physical health. By understanding what's normal and what's not will help you recognize health problems in the early stages. In this article, you'll learn what's normal shedding and what is considered excessive shedding in dogs. You'll also know when dogs are more likely to shed as well as how that differs between indoor and outdoor dogs. An explanation of "blow coat" is given as well as the truth behind dogs that are considered "non-shedding." 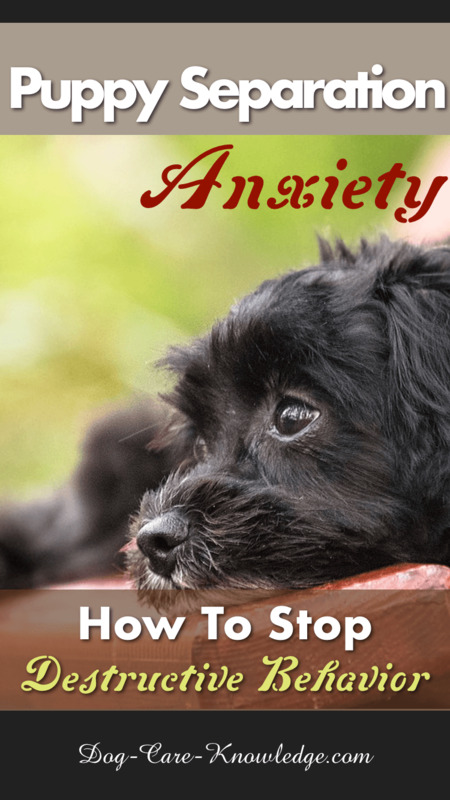 I share tips on when you should seek veterinarian help, the signs to look out for and what health conditions it may indicate. 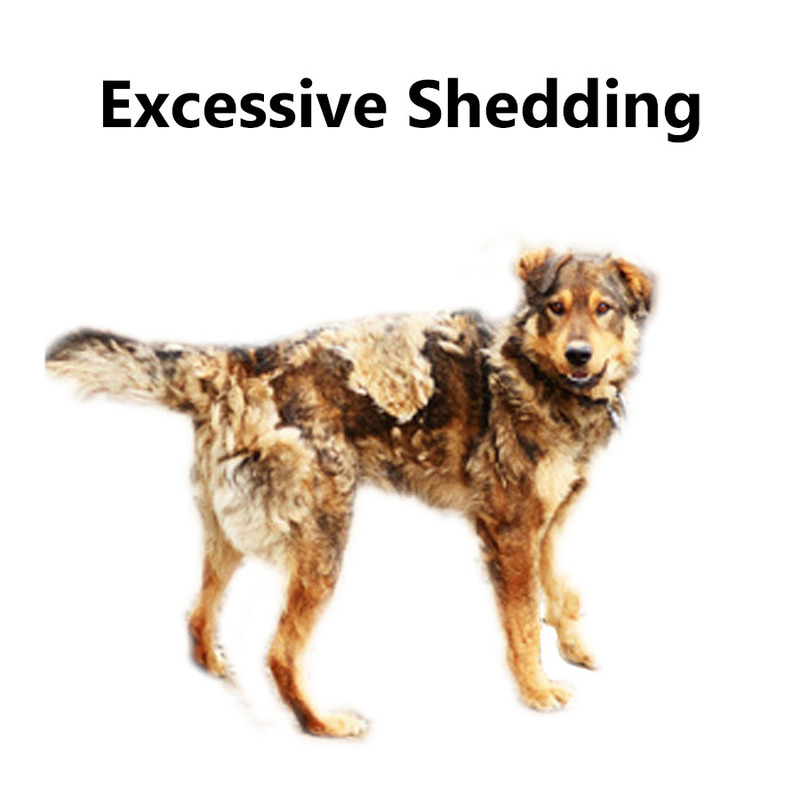 Finally, this page covers how you can prevent excessive shedding in dogs and the role of diet on coat and skin health. The treatment plan you need will depend on which skin problem your dog is experiencing. However, there are a few things you can try that works well for improving the overall health of a dog's skin and coat. Ensure that you are feeding a diet that is rich in essential fatty acids such as omega-3 and omega-6 oil. Or, supplement your dog's food with salmon oil which has an abundant supply of both. Bathe your dog monthly with a quality natural shampoo. Brush your dog regularly dependent on fur length. Keep your dog's immune system in optimal health. Maintain effective flea, tick, and parasite, protection for your dog. If you have a dog that is experiencing a problem with his skin, then a trip to your veterinarian is in order. 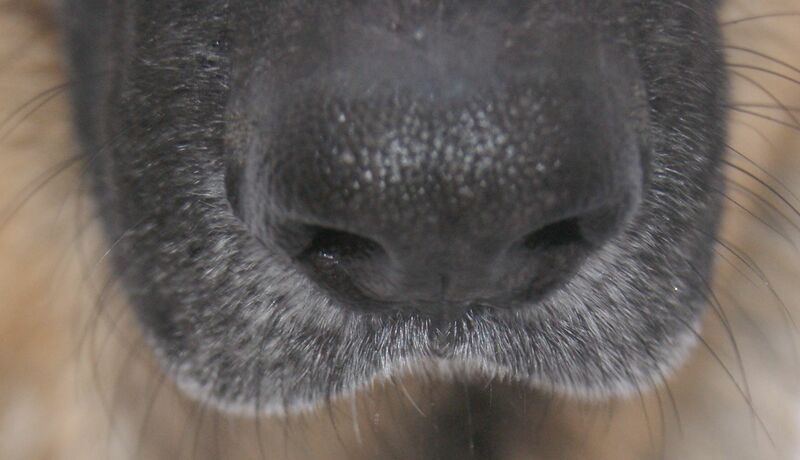 The skin conditions on this page are the most common problems dogs experience with their skin. However, there are about 160 different dog skin disorders in total. Once you have a confirmed diagnosis, you can start an appropriate treatment plan or try home remedies.